Keith Fisher is a pharmacist with a passion to find, develop, and use technological tools to improve patient care throughout the healthcare system. He strives to positively impact the lives of millions of patients daily through the solutions developed. His industry, technological, and leadership experiences throughout his career journey from the hospital, to managed care, to both major drug compendia providers, to a major pharmacy benefits manager and PBM software provider have all uniquely created a wide sense of understanding of the capabilities that pharmacy technology can contribute to enhanced patient care. As a Senior Consultant with Point-of-Care Partners, Keith is working to advance the company’s Regulatory Resource Center and help clients lead in the competitive environment of electronic patient care, whether this is through better utilization of existing technologies or thru the introduction of emerging technologies involving patient care. Keith has held numerous leadership roles at NCPDP the past 25 years, helping make a reality then futuristic concepts as online drug utilization review, drug claim submission and processing, electronic prescribing, electronic prior authorization, medical record data sharing, formulary and benefit transfer standardization, and the codification of a sig. He is a past co-Chair of the Drug Utilization Review and Professional Pharmacy Services work groups. 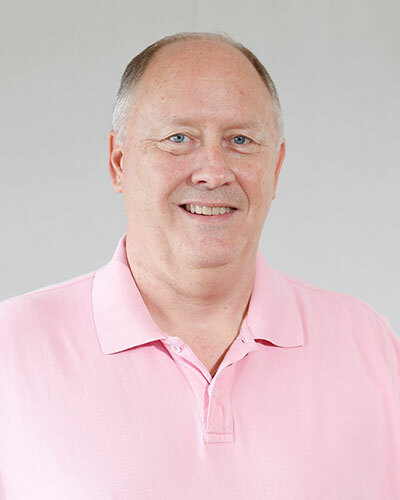 Additionally, Keith is an original member of the Academy of Managed Care Pharmacy (AMCP) and was a contributor in the Guiding Principles for Effective Electronic Messaging. Prior to joining POCP, in January 2016, Keith formed RxIT Consulting to promote his ideals in the pharmacy and medical payer, retail pharmacy, electronic medical record, and the communication markets that link these together to provide ideal patient care. His most recent experiences in Corporate leadership have been as a Product Development Market Manager with the HearstHealth companies of MedProof and First Databank. Prior to joining FDB, Fisher was employed for 15 years at SXC Health Solutions where his duties involved the development and enhancement of their Medicare Part D software functionality, Drug Utilization Review applications, pharmacy benefit design, and claim adjudication application development, as well as client management roles. Prior to this, experiences included Medi-Span database product management, management of the pharmacy benefit for Maxicare Indiana, and six years within inpatient and outpatient hospital pharmacy. Keith is a graduate of Butler University College of Pharmacy (BS Pharm in 1984, MS in 1987), where he earned Rho Chi member honors.